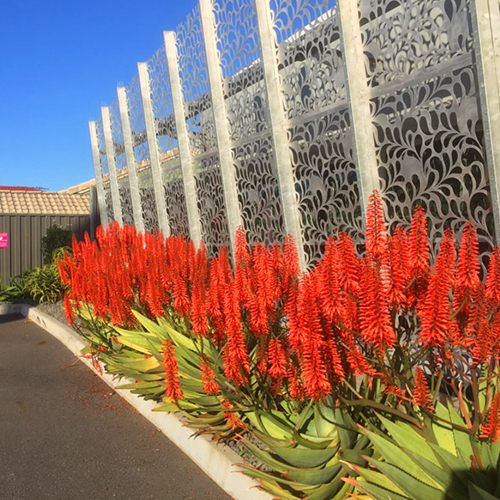 Aloe-Aloe Horticulture is the marketer of the aloe-aloe® brand of spectacular flowering aloes across Australia. The brand was formed in 2008 to launch a new range of prolific flowering hybrid aloes bred in South Africa. They have all been trialled under a range of vastly different climatic conditions internationally and across Australia. They have been selected for their versatility, longer flowering, spectacular flowering, drought tolerance and bird attraction. With its launch, aloe-aloe® set out to provide gardeners and landscapers confidence in a quality brand they can trust in hot conditions, cold conditions, dry conditions and wet conditions across the country. Aloe-Aloe Horticulture, working with our network of licensed wholesale growers, our associated company the Aloe-Aloe farm and our propagators, Tissue Culture Australia and Mansfields Propagation provides a premium service to wholesale production nurseries of production, distribution, management, marketing and promotion of the Aloe-Aloe brand and the associated Plant Breeder Rights/trademark protected plants. 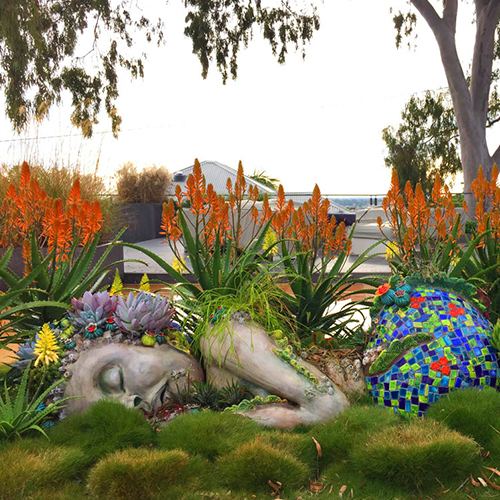 To introduce these new hybrid aloes as perennials for flower beds and as flowering shrubs so as to allow Australian gardeners as well as birds and bees to enjoy these flowers with little effort, care and of course little reticulated water. The Head office of Aloe-Aloe Horticulture Pty Ltd is based in Toowong, Queensland. Most of the aloes in the aloe-aloe collection are bred in South Africa by Leo Thamm of Sunbird aloes who is recognised as one of the worlds leading aloe breeders. This hybridisation programme goes back more than 40 years and more than 8000 records of different hybrid combinations have been maintained for breeding purposes. From these 8000 combinations, through extensive trials around the world (including many parts of Australia), the poor flowering performers, the substandard colours, the plants with fungal susceptibility and the ones incapable of dealing with excess rain have all been eliminated and destroyed. 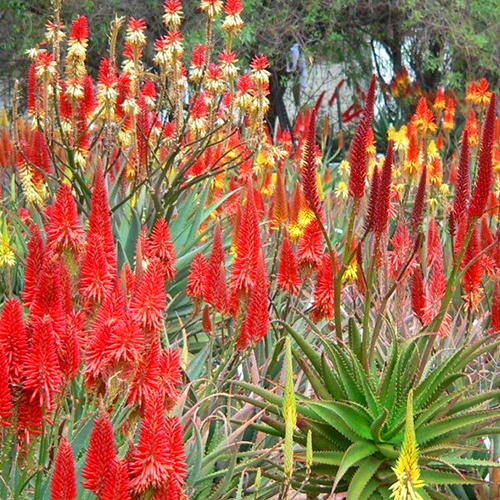 What are left are 250 of the most floriferous, most colourful and best adapted (to garden conditions) aloe hybrids imaginable. In March 2008 we were proud to make the initial offerings from this elite list available to Australian gardeners. There are now 35 unique cultivars available under the aloe-aloe® brand. More releases will follow in future years. They are scheduled for release in other countries in due course. Certain plants in the aloe-aloe collection have full protection in Australia under the Plant Breeder’s Rights Act 1994 Unauthorized commercial propagation or any sale, conditioning, export, import or stocking of propagation material of these varieties is an infringement under the Plant Breeder’s Rights Act1994. Information on this website is provided without any form of warranty, neither express nor implied. Aloe-Aloe Horticulture expressly makes no representations relating to the accuracy, completeness or reliability of the material on this website and assumes no liability for any damages resulting from information or omissions from this website. Aloe-Aloe Horticulture makes no warranty including suitability for a particular purpose. Use of this website is at the risk of users. The website is owned and operated by Aloe-Aloe Horticulture and the content featured or displayed on this website, including but not limited to text, graphics, photographs and images are owned by Aloe-Aloe Horticulture, its licensors and its content providers. All elements of the Aloe-Aloe website (and Facebook, Instagram and YouTube pages) , including the design and content are protected by copyright, moral rights, trademark and other laws relating to intellectual property rights. No portion or element of this website or its content may be copied or re-transmitted via any means except as expressly permitted by agreement with Aloe-Aloe Horticulture. Photographic images downloaded from this website is strictly for reference only unless prior agreement with Aloe-Aloe Horticulture has been provided. It is important to note that the aloe-aloe collection of hybrid aloes ARE NOT ALOE VERA. Aloe Vera is a completely different species of aloe which does not have significant flowering qualities but is sometimes known as the medicinal aloe because it is frequently cited as being useful in herbal medicine. The species Aloe Vera is also sometimes known as Aloe Barbadensis. Many scientific studies of the use of Aloe Vera have been undertaken but this apparent benefit is inconclusive as many of them are conflicting. All plants in the aloe-aloe collection are ornamental garden plants bred for spectacular flowering and are definitely not grown nor sold for medicinal use. We accept no responsibility for the consequences of cosmetic or medicinal use of any of the aloes in the aloe-aloe collection. In fact we go further with a word of caution as there are a few aloe species, which contain sap in the outer green layer of the leaf, which could even be classified, as poisonous if eaten. Despite this risk, all of the aloes in the aloe-aloe collection are safe to work with and grow in the garden as ornamental garden plants.